What role will the energy system play in the transition of the rest of society? How can the different energy technologies work together in a new low carbon energy system? What are the missing pieces of the puzzle – in technology, regulations and business models? And how can we as citizens take part in the transformation of society? The main focus of the conference is the role of the energy system in transition towards a sustainable society while continuing to be a driver for economic growth. European and international cooperation will be central to the conference. The conference is a blend of keynotes, panel debates and plenary discussions, and participants will be international experts from academia, industry, government and NGOs. What is the role of major universities and research institutions? The big picture - from ambition to action - what do we need to do? This theme addresses the strategies needed to meet the objectives of the Paris agreement discussing the current status and what will be needed in terms of increased efforts: policies, technologies, behavior, and transformation of society. The theme will have a special focus on how to deal with uncertainty: climate risk, financial risk and policy risk. How does industry make investments under uncertainty? How does political uncertainty affect the choices made by the industry? How can policy makers reduce this uncertainty? Are there financial barriers preventing capital to be spent on the transition? What is needed to increase international cooperation? The session will address how society can close the gap between the actions that the Intergovernmental Panel on Climate Change (IPCC) and climate researchers say are necessary, and the goals of political climate plans and the nationally determined contributions (NDCs) of the Paris Agreement. This theme will focus on technological solutions that we are implementing or demonstrating today and which solutions we do not currently have, but that we need to develop. In addition, the session will address the transformation of society focusing on the role of citizens in the energy transition. How can technologies drive new economic growth while driving towards a zero emission society? What are the possibilities and barriers in this transition, and how can we stimulate accelerated transition? How can we stimulate new businesses and investments in new opportunities? Are there “Magic technologies” – what are realistic technologies? How will we live our lives in the future, and what are the major changes of lifestyle that will come? How do we travel in the future, what kind of buildings do we live in, and what do we eat? What is the approach of developing countries to the transition? The session will address how we can utilize available technologies as a first step toward a zero emission society and how we can use this for development of the next steps. The session will also address how these technological changes may change how we live our lives in the next decades. Will technology drive change in society, or will society drive change in technology? What does the IPCC tell us? BHGE energy transition strategy – How to reach net-zero? 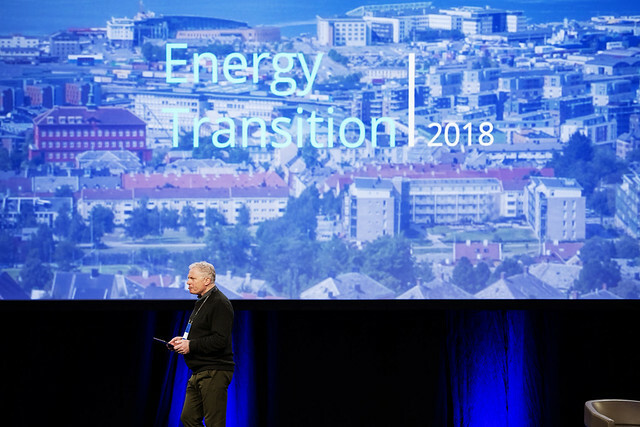 Adresseavisen, NTNU og Technoport arrangerer folkemøte om klimaendringene, fornybar energi og vindkraftutbyggingen på Byscenen i Trondheim, 25 mars kl. 1900. Forskere, forvaltere og politikere svarer på spørsmål og innlegg fra publikum. Sittende forestilling; "først til mølla"-prinsippet gjelder.